I’ve sometimes been asked what percentage of the deal price should be budgeted for diligence costs. Many deal costs do have a quick rule of thumb, but with respect to Due Diligence it’s safe to say “It depends.” Do you want the diligence to be good, fast, or cheap? Good, Fast or Cheap? “Pick Two” of the Big Three. Good? More diligence may reduce risk to Buyer, if it’s focused on the right issues, but more diligence means more cost. Decide if the deal demands cursory, customary or exhaustive diligence. If risk is low or if there is clear protection that can be provided in the Purchase Agreement, diligence can be more cursory. For example, my own diligence is more cursory for a new car backed by dealer/manufacturer guarantees, but I would use higher diligence efforts for a used car. And personally, my diligence will reach an exhaustive level if I ever buy that private island. For tools to decide how much diligence and on what priorities, see the Corollaries below. Fast? Is the integrated SME team working coherently and cohesively? Are you clearly communicating in an engaged way with your stakeholders? Or did you get caught scrambling after an unplanned or delinquent issue? Ideally, follow a structured playbook. And to mitigate any schedule risks, use a Front-End Loading process to better identify the scope; record the results in a Risk Matrix/Probability Matrix tool; and network iteratively with stakeholders. I usually take three formal passes at stakeholder concurrence as the diligence develops. But having said that, more experienced teams may compress the schedule with some calculated-risk shortcuts. For example, in order to accelerate time-to-closing, one deal team launched the DMO jointly with the Buyer while the negotiations were still moving. But that should be regarded as expert territory. Cheap? Diligence cost is really an outcome of the choices made around Good and Fast. As such, my playbook does not budget diligence cost. Instead, we deploy an experienced team and utilize a Risk Matrix approach to identify the subset that really has to be done well on the Good spectrum. Everything else is nice-to-have and can be traded if necessary for speed. Corollary 1: Cost rises with effort, but does quality rise with cost? The diligence team must deliver relevant results for its expenditures. If your company is contemplating an acquisition whose failure—in a worst-case scenario—could take the company under, you should be operating a lot farther to the right along the “Good” spectrum. But see Corollary 2. Corollary 2: A Classic Error. More diligence means less risk. Or does it? It would seem that more diligence is better, but that’s not true for everyone. One classic error is investing in precision (being exact) while failing at accuracy (being correct). Deal failures are ultimately diligence failures, and the most spectacular failures are those where the key driver was missed entirely while the team had its head up its… checklists. In every lookback I’ve seen, the cause of the failure was readily apparent and could have been contemplated and at least some risk mitigation provided. How? By managing the diligence effort to deliver accurate (as opposed to precise) assessment of risk. For your next M&A deal, I would recommend a conventional tool Risk Matrix, coupled with any scenario planning tool and Probability Matrix. The real cost is the loss of deal value if something important is missed. 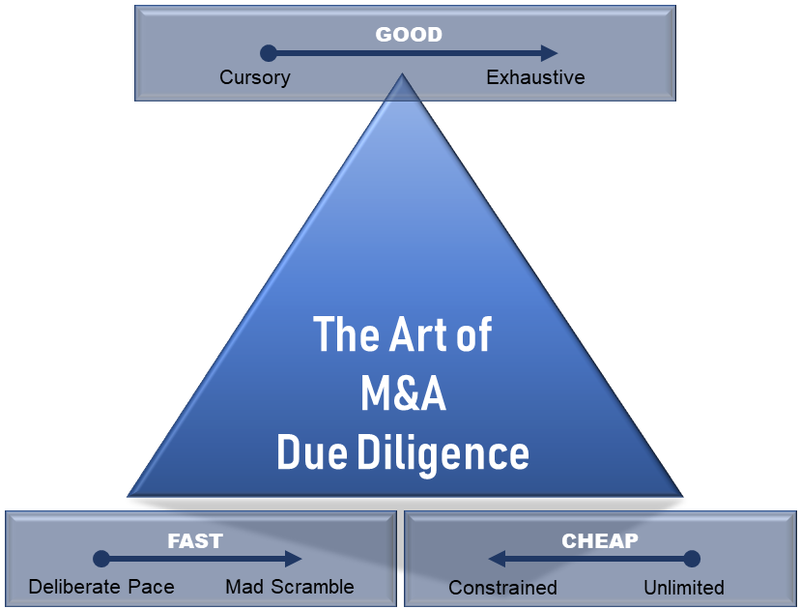 The best diligence teams keep sight of the whole battle to deliver a de-risked acquisition. In addition to serving on the Board of M&A Standards, Bruce directs internal and external growth initiatives including alliances, acquisitions and targeted divestitures for Calumet. 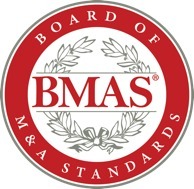 He has held senior business development and planning roles with Amoco Oil, Orient Refining, and Tesoro Corporation where he most recently directed acquisition of BP’s Carson, CA refinery including FTC approval, which Barron’s noted as “Acquisition of the Year.” Bruce is a featured presenter at M&A Leadership Council's The Art of M&A Due Diligence this November .